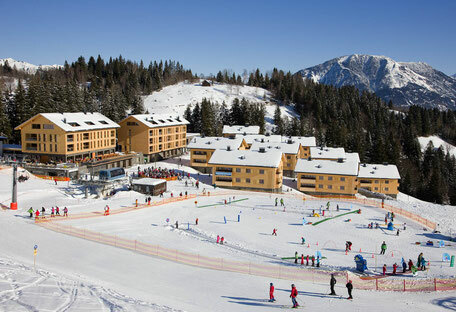 Please reserve in the ski school before so that we can (if possible when booking the property) guarantee a place on the course. The Office is located at the cablecar company building on the 2nd floor. Right beside the cash desk of the Bergbahnen. Assembly place and area for beginners in Brand at Dorfbahn Top Station. 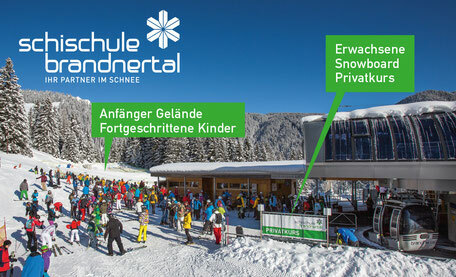 The office is located on the Tschengla in the office building of the cable car company. Assembly place and area for beginners in Bürserberg at the Tschengla. Payment arrangements: Cash, debit-cards, Mastercard and Visa. The lift tickets are not included in the course price. The minimum size at which the respective courses are conducted is listet in the offering. If the number of required guests are lower, the price will increase or reduce the course of time. It can be also be an amalgamation of various skill levels. The office and class times are adapted to the weather conditions and the utilization. For failures of the cable cars, no fee will be refunded.